Enter Bob Vila’s $3,000 Garage Makeover Give-Away Today! 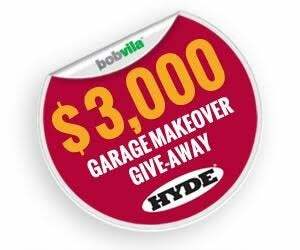 Enter to win $3,000 from Hyde Tools to put toward a garage makeover! For a well organized home, most of us simply couldn’t live without the garage. It’s a spot to store seasonal gear, tools, and even our cars. But when it comes to home remodels and fix-ups, the garage is all too often an afterthought. If clutter and mess have taken over your space, we’ve got your back with this month’s $3,000 Garage Makeover Give-Away from Hyde Tools. Today and every day this month (from 12:00 p.m. EST June 30, 2015 to 11:59 a.m. July 31, 2015), enter to win a garage makeover worth up to $3,000 from Hyde Tools. See Official Rules below. If you win this month’s give-away you’ll be able to turn a lackluster garage into a clean, tidy, and multi-functional space. Hyde Tools is in the business of making DIY fast and easy with their lines of painting, exterior cleaning, and home maintenance tools—and they’ll make your garage makeover just as simple! Perhaps you’d like to install better storage solution for hand tools, hire a contractor to stain and seal your concrete floors, or even add a sink to make workshop clean up a snap. No matter what your dream garage looks like, Hyde Tools will offer you $3,000 to help make it a reality. So what are you waiting for? Enter Bob Vila’s $3,000 Garage Makeover Give-Away today and every day this month for your chance to win incredible garage makeover. For more on Hyde Tools and their products, click here. 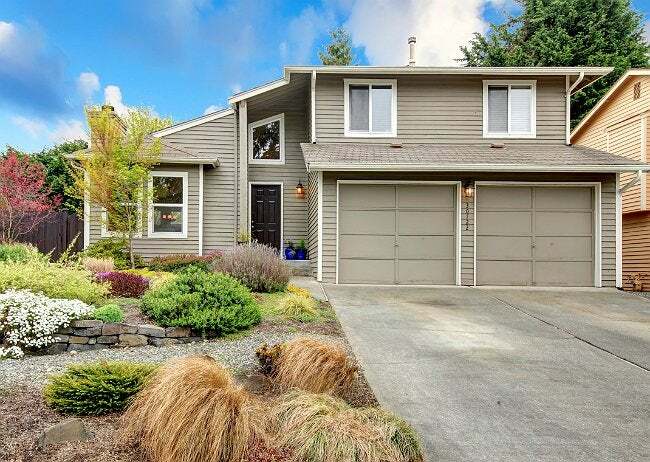 The “Bob Vila’s $3,000 Garage Makeover Give-Away” is open only to permanent legal U.S. residents of the 48 contiguous states and the District of Columbia; residents of Alaska and Hawaii are not eligible. Void in all other geographic locations. No purchase necessary. Void where prohibited. Contest Period runs from 12:00 p.m. (EST) Tuesday, June 30th, 2015 and ends at 11:59 a.m. EST on Friday, July 31st, 2015 . One entry per household per day on BobVila.com. Alternative means of entry for Drawing is available by faxing your name and address to 508-437-8486 during the applicable Entry Period. Odds of winning depend on the number of eligible entries received. See Official Rules.